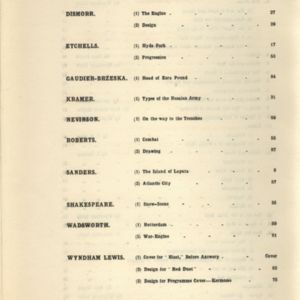 Dorothy Shakespeare's Snow Scene. 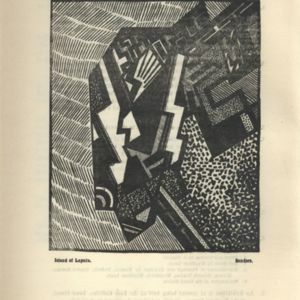 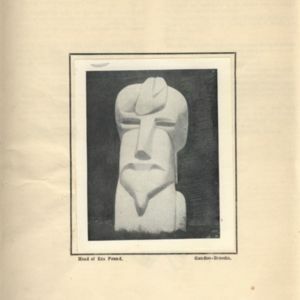 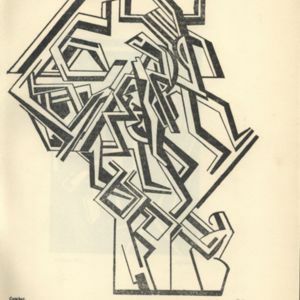 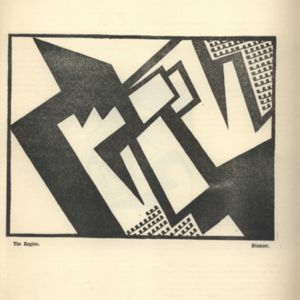 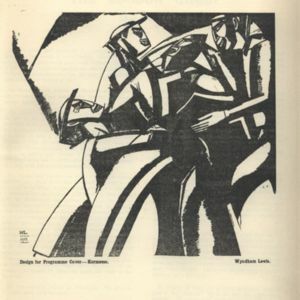 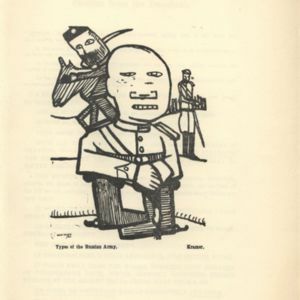 This illustration appears on the page opposite Guadier-Brzeska's death note, giving the reader a visual sense of the stillness of death. 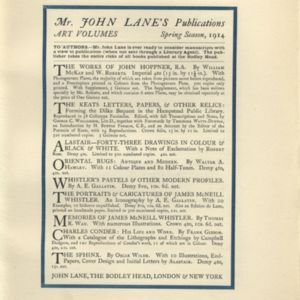 List of additional publications from John Lane. 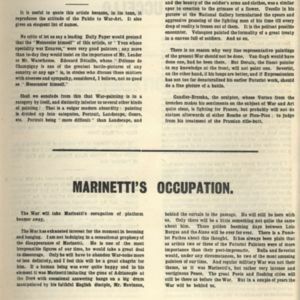 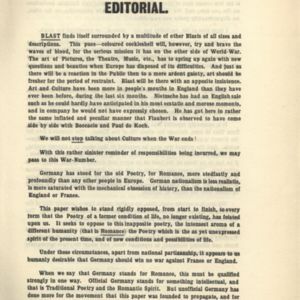 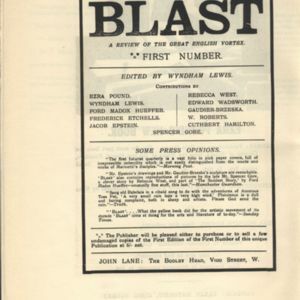 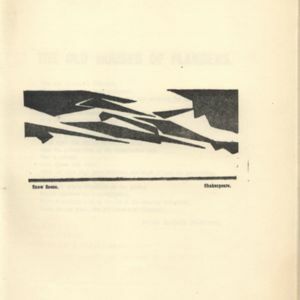 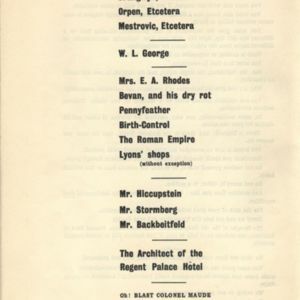 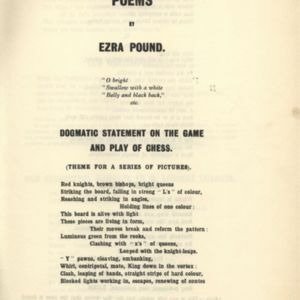 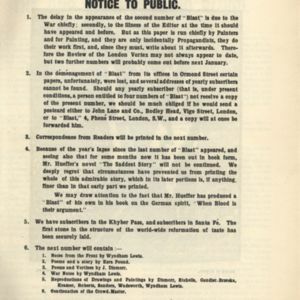 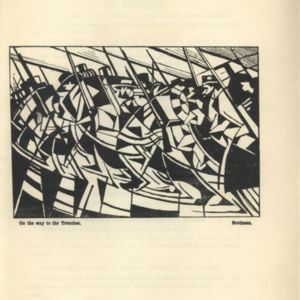 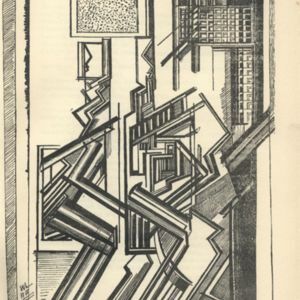 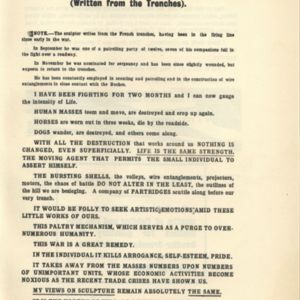 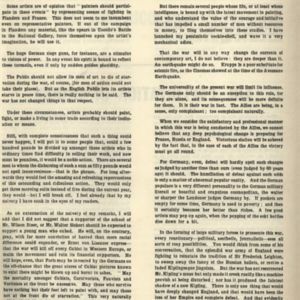 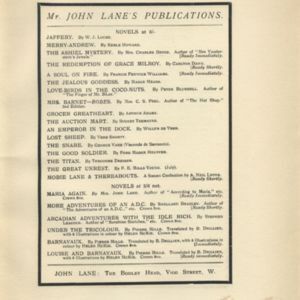 Unlike the first volume of BLAST, which boasted blue lines around its publisher advertisement pages, this one is entrapped by a black border, due to the unavailability of blue ink.